The SysFlex® series is a family of A/V modules providing complex interface solutions at the click of a connector. Certain SysFlex modules provide connectorized interface between data networks and analog and digital audio devices. Other SysFlex modules include networked and conventional amplifiers and other application-specific solutions. 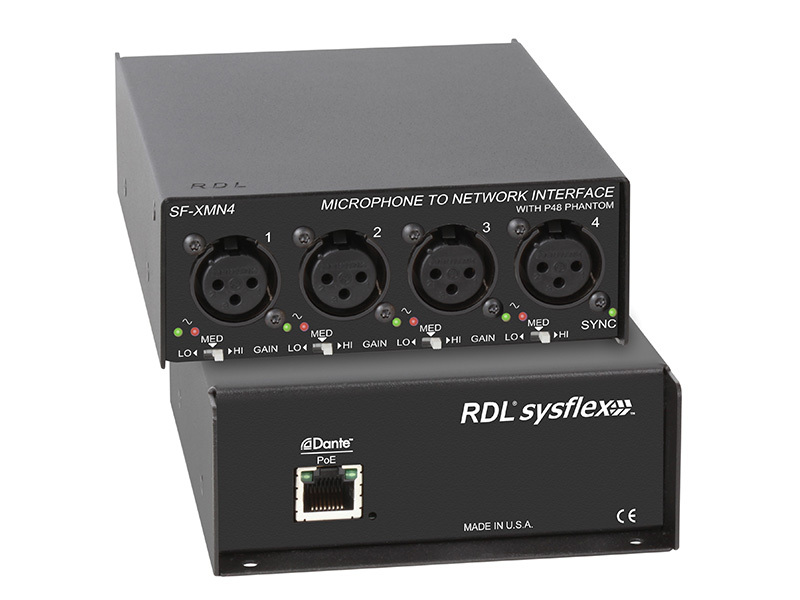 In RDL’s tradition of versatility, SysFlex modules can be used right where they are needed: Rack-mounted, Surface-mounted, or unmounted. They are light weight, compact and easy to install with simple, straightforward switch settings and LED indicators. Modules quickly snap into the SysFlex rack mount and each is firmly secured with a single screw. The racking system segregates network and power wiring from the audio and digital audio connectors. For connectorized network audio endpoints and A/V system components that provide unparalleled performance and advanced features without giving up simplicity and ease of installation, SysFlex is the industry’s best value.